Samuel Wilson is dismissed after a disastrous year at the newly created Harvard Medical School, ending his dream of becoming a doctor. Shamed by his dismissal, he returns to his north shore home where he avoids his former fiancée Lucy Simms and tries to dismiss all ideas of marrying her. Lucy pretends Samuel’s rejection means little as she helps her family on their farm. An early New England blizzard brings challenges and death to her door. When it is over, Lucy lays in her cabin near death with only five-year-old Sally to aid her. Samuel discovers Lucy delirious with fever and endeavors to save her from the fatal illness that claimed most of her family. Unwittingly he puts her reputation in danger. At his parents’ insistence, Samuel marries a barely conscious Lucy. 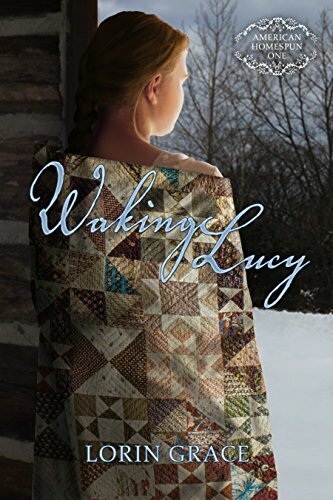 Lucy awakens to a reality more bizarre than her dreams. Sure that Samuel’s vows are coerced, she does everything in her power to convince him to annul the marriage. With the help of his mother and Sarah, he sets out to prove to Lucy that the vows he took are permanent. I loved reading this romantic historical novel. It brought out so many little facts I didn't know about the post civil war era. The romance and the history together made it a great read. So many supporting characters in this book. Lucy and Samuel though stood out. I admired Lucy for her strength to get her through. I also admired Samuel for his never give up attitude. It was a hard life then and this book brings out so many of the tragedies that happened. How they dealt with each one made the story too good to put down. This book was listed as free a couple of days ago and I downloaded it. Glad I did!